In an early morning tweet on December 15, 2018, President Trump fired Secretary of Interior Ryan x who is under investigation for corruption. Shown here is Secretary Zinke riding the horse Tonto to work on his first day on the job. 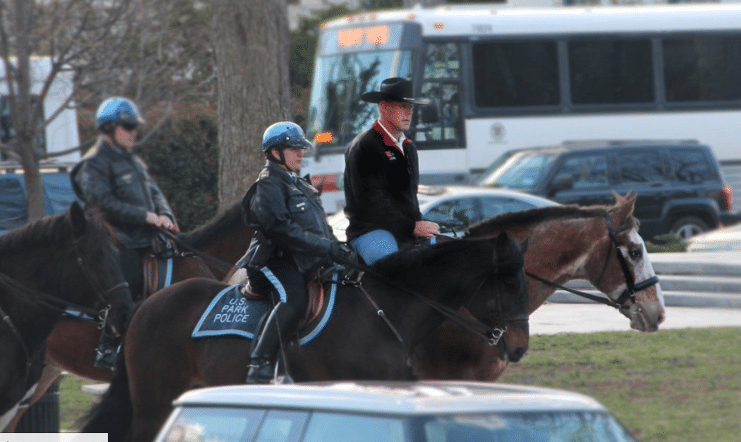 He was accompanied by DC park police as they trotted through rush hour traffic in our nation’s capital. of Sophocles’ immortal tragedy “Oedipus Rex”. This picture played only in the so-called art theaters, and it was not a financial success. reporter whose article “Donald Trump Announces Departure of Interior Secretary” inspired this song. A disgrace at Interior today.